If you were looking forward to finally using Apple Maps as a navigational tool, it looks like you may have to wait a bit longer... if you don't live in a major city that is. 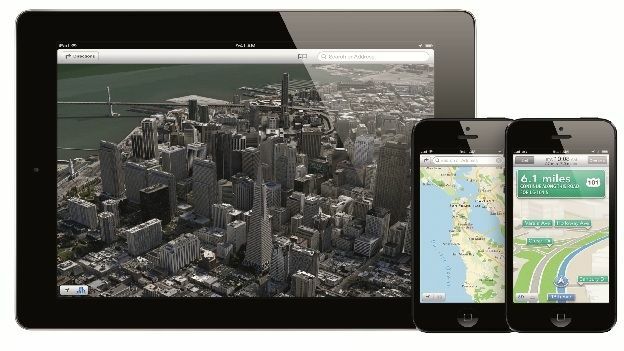 One of the rumoured updates coming to iOS 9 was the expected big improvements to Apple Maps, with key features such as public transport navigation. This would include subway, train and bus routes, bringing the mapping service in-line with it's more fully featured rivals, Google Maps and Nokia Here Maps. But the latest report from 9to5Mac suggests that the long overdue feature will only cover six cities at launch (this September). These cities include San Francisco, New York, Toronto, London, Paris and Berlin, leaving a majority of the world's population out of luck. Of course, the Cupertino company will plan to add more locations with future updates to the service. It's also rumoured that Apple will be rolling out an internal mapping service, which provides directions inside buildings. The company are doing this with iBeacon robots which automatically scan their environment. Transit navigation was originally due to launch with iOS 8, but setbacks were caused due to personnel issues and data inaccuracies. What do you think? Is it worth Apple taking their time and getting it right? Or is Apple Maps one of the company's biggest failures, along with Ping?